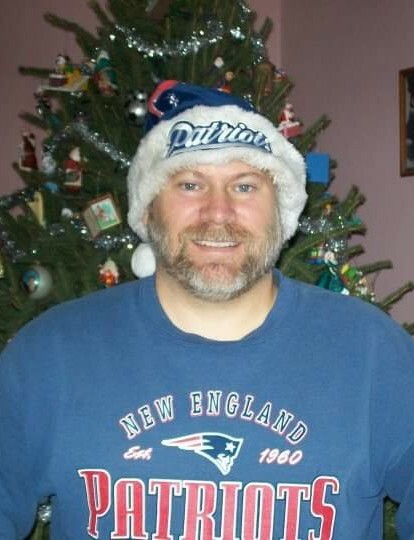 Webster Norton Barrett, “Web”, 53, of Quinebaug and formerly of Lebanon, died unexpectedly Tuesday, April 2, 2019. He was born Dec. 9, 1965 in Middletown, CT, he was the son of the late Dwight and Betty (Kilpatrick) Barrett. Web was a graduate of Lyman Memorial High School and ECSU. He was a longtime employee of IBM. Web was most proud of his role as a proud dad to Kyle, 21, a senior at American Int’l College in Springfield, MA, and Jenna, 18, a senior at Ellis Tech. Web was a devoted family man and a lover of all sports, whether it was his beloved NE Patriots or the U-10 Soccer team he loved to coach. He loved to camp, read sci-fi novels, drink Busch Light, play disc golf, and to have fun. Always quick with a witty remark, Web will be deeply missed by those who love him. Web is survived by his wife of 27 years, Tammy (LaFlair) Barrett; his son, Kyle; his daughter, Jenna; sisters, Carol Barrett, Debbie Hotham and Pam Valley; brothers, Jim, Jeff and Dwight; several nieces and nephews; many in-laws, countless great friends from Lebanon, and his loyal rescue dogs, Samantha and Cody. The family will receive guests 1 – 4 PM Sunday (April 7th) at the Aurora-McCarthy Funeral Home, 167 Old Hartford Road, Colchester. A Chapel Service celebrating his Life will be observed during the visitation at 3:30 PM. Burial will be private. In lieu of flowers, donations in his memory may be made to the Webster Barrett Memorial Fund, c/o Putnam Bank, P.O. Box 151 Putnam, CT 06260.